ATEME: high quality video codec. Paris, Miami, Singapore, May 2015: ATEME has announced that Paris City Hall is deploying the TITAN File Software Transcoder to enhance online distribution of city hall news, events and promote Paris heritage. With over 2.7 million unique viewers per month on www.paris.fr, Paris City Hall videos are leading online viewership charts. 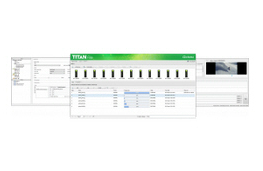 The TITAN File reduces the distribution OPEX by delivering high video quality at minimal bitrate. To learn more, please visit www.ateme.com. TITAN File is a multi-codec and format video transcoding software, for mezzanine, VOD, Post-Production, Playout and Archive applications. TITAN File is easy to install, configure and integrate into any existing workflow, including integration with Conditional Access, Digital Rights Management, Digital Ad Insertion and Forensic Watermarking. TITAN File includes 24/7 automation and workflow capabilities and can be deployed on-premises and/or in the cloud. “We needed a solution that will enable us to distribute high quality HD and 4K videos of Paris renowned sites such as Place Concorde, the Eiffel Tower, Notre Dame and many others, while ensuring low CDN and storage OPEX and future proof with HEVC support” said Marc Ouzounian of the Mairie de Paris audiovisual services at Paris City Hall, “The TITAN meets our targets and enhances our video experience with 4K resolution support”. “We are excited to be part of the online Paris experience” said Emmanuel Boureau Vice-President of Sales at ATEME, “this continues the TITAN File momentum with enterprise entities looking to replace open source products to improve video quality, streamline operation and reduce OPEX with lower bitrates and reduced storage”.